Open and stretch your body with this slow moving short stretch perfect for any time of the day. Move with slow strong poses that strengthen body, and allow your mind to relax and leg go. Move peacefully with this gentle flow that guides your body through a calm and relaxing stretch. Give your body the gift of a calm stretch and add in strength for upper body, legs and core. Flow peacefully as you stretch and open your body in this short, calm gentle yoga class. Open and relax your entire body with this gentle stretch flow. Relieve tightness in the hips, IT band and hamstrings with this gentle stretch flow. 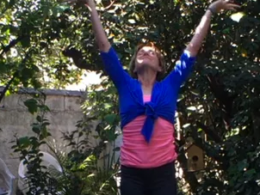 Relieve tightness in shoulders and neck with this slow moving gentle stretch flow. 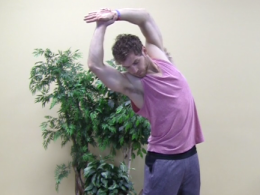 Release tightness and tension in the entire body with this short flow. Open shoulders, hips and hamstrings in this slow stretch designed to open your body and relieve tightness. 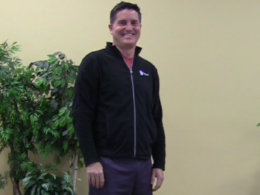 Open your hips and hamstrings in this class designed specifically for cyclists.